Amazon is here with a great deal offering Protoner EXWHEEL Plastic Double Exercise Wheel with Knee Mat at Rs 214 only. 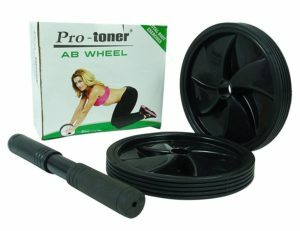 Protoner is one of leading producers of fitness gears and accessories. Being a renowned brand in the industry, it is always an easy choice for the customers. Grab this Now..!! How to Buy Protoner EXWHEEL Plastic Double Exercise Wheel with Knee Mat?